Lately I have been on this kick about painted furniture. Not just any colors but coastal blues and greens. 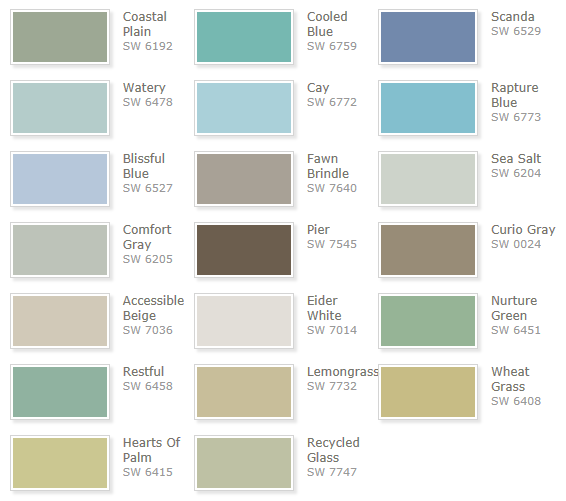 To my delight I found some fascinating hues from Sherwin Williams. Their Coastal Cool Collection reminds me of Beach Glass. 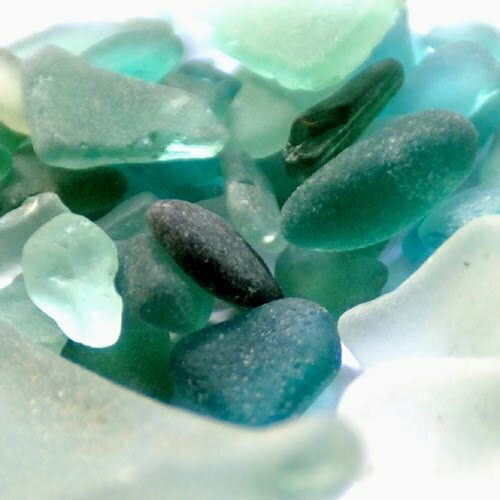 The colors of these tumbled treasures evoke the seaside style I am looking for. Colors like, Watery and Sea Salt already have my mind swimming with ideas. Whether you are painting walls or furniture or just looking for color inspiration, these colors will take you directly to your seaside oasis. Sharon, not sure if you are aware but you do have "word verification" turned on here. It's much easier for folks to leave comments without it and you can still elect to approve comments before they are posted. Just in case...go to "Settings", "Comments" and then "NO' for word verification. Of course, it's your choice! Thinking Outside the Box-Love it? FRAME IT !